The Cultural Affairs Committee works for interpersonal learning of various arts and creative skills by conducting various events and activities. It organizes various celebrations on festivals (eg. Diwali, Christmas, Rose Day, Holi, etc.) so that participants get a chance to know and experience the diverse cultures across the nation. 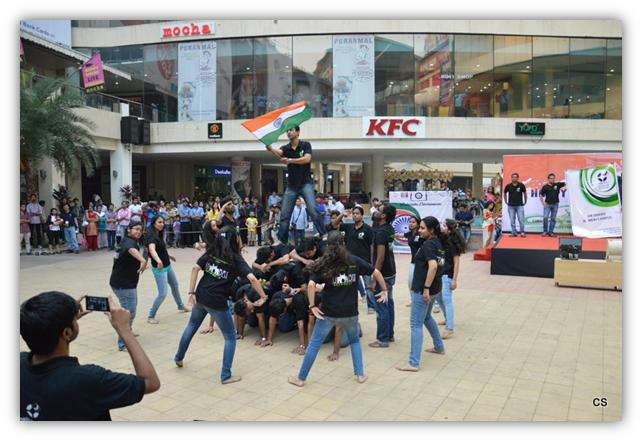 It conducted a Flash-mob event on the Republic Day for the purpose of spreading awareness about women empowerment in four different malls of Mumbai. It supports a band named “Dores”, formed by students of IIM Indore, Mumbai Campus. 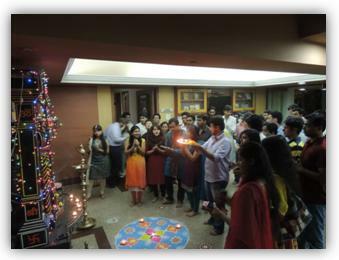 (1) Diwali: – IIM Indore, Mumbai campus celebrated Diwali in grand style. The proceedings started off on an auspicious note, with a ceremony at the feet of the deities. An evening of fun and frolic followed, consisting of a variety of wacky games, a musical evening and number of sizzling dance performances. Special prizes were awarded to the best dressed male and female participants. Dinner was served on the terrace, with the festivities continuing amidst the sound of popular Hindi numbers ringing in the background. 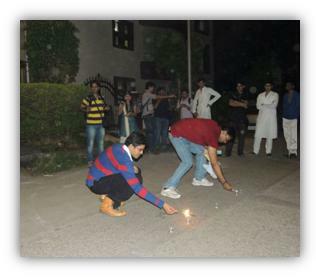 The best was saved for last, with the participants rushing downstairs to burst crackers which continued till late in the night. Definitely a night to remember for the campus! (2) Christmas: – We decided that we will celebrate Christmas with a sense of gratitude and joy by gifting each other. Hence we decided to play a game called as “Secret Santa” where each person was someone’s Santa Claus who will gift his/her “Godchild” without letting him/her know it. The gifting ended with a dinner feast and happy and smiling faces! (3) Flash-mob on Republic Day: – IIM Indore Mumbai campus recognizes its duty to serve the society and country, and one such initiative was organized by the Cultural Affairs Committee to commemorate India’s Republic day. A bunch of students stood up for the cause of Women empowerment and performed a flash mob across several malls in the city. The entire performance consisted of a choreographed dance sequence against the backdrop of patriotic songs, and a skit which highlighted the grave situation faced by women in the country, and our commitment as responsible citizens to set it right. The flash mob was greatly appreciated by viewers at the various places it was performed, and received extensive media coverage as well. Kudos to our students for pulling off such an amazing feat. (4) Rose Day: – A game was played where each girl was given a situation and was asked which guy she would want to be with to help her out in it. And then that girl will give that guy a rose! 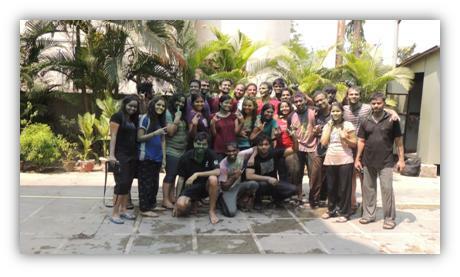 (5) Holi: – Holi was played with great energy and enthusiasm with water and colours by all. The joy of playing colours was doubled with snacks and everybody dancing to the music. 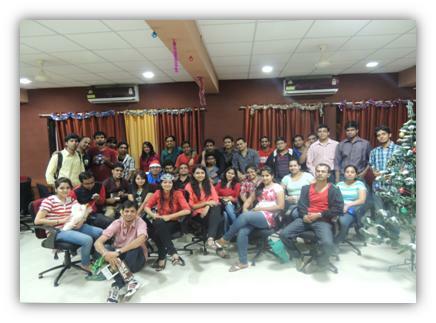 Everyone said they felt rejuvenated after Holi celebrations!